Inhabitants of the town of Malmedy probably remember as if it was yesterday. Back in 2008 Jennifer Aniston, world famous from her role as Rachel in the TV show Friends, spent the night in the Hostellerie Trôs Marets. She was in the company of Mary-Kate Olsen, one of the twins who became the very youngest Hollywood stars thanks to their appearance in the sitcom Full House in the 80’s and 90’s. The duo’s evening of meditation in the hotel garden was abruptly disturbed by the blaring music from a garden party in the neighbourhood. They made the hotel owner call the police to bring the party to an end. And so it happened… After all such Hollywood super stars do not appear every day in the Belgian Ardennes. 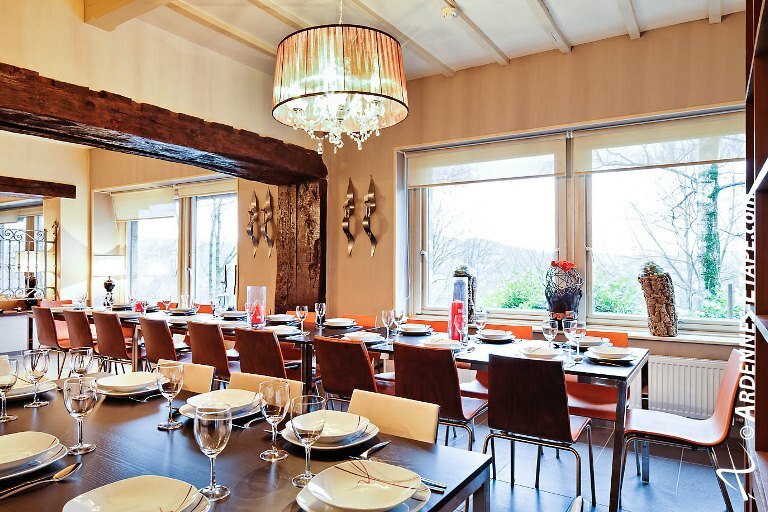 Ardennes-Etape incorporated this luxurious accommodation as a five-star holiday home. It combines the kind of comfort you only get in top-of-the-range hotels with the personal touch of an Ardennes holiday villa. Every bedroom in the house is furnished in its own unique way and has an adjacent private bathroom. The foyer and the bar have had a makeover, now functioning as a living room with counter and pool table. 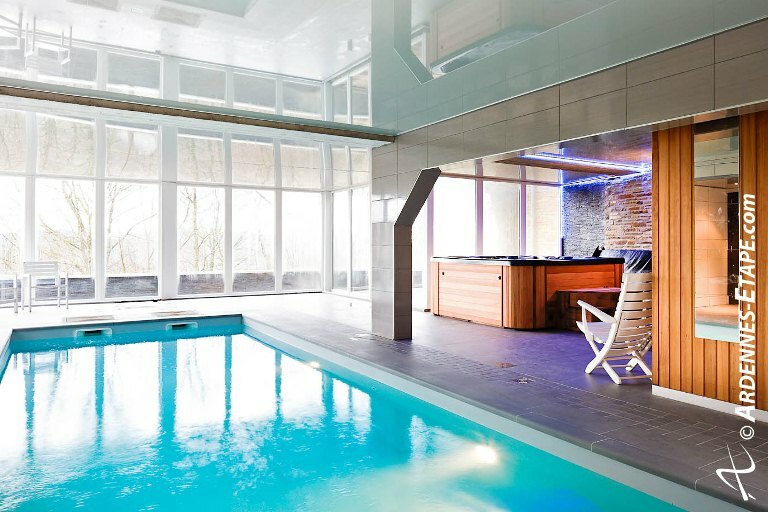 Swimming pool, Jacuzzi and sauna complete the picture, making this house the perfect destination for a trip to the Belgian Ardennes for groups of up to 27 people. 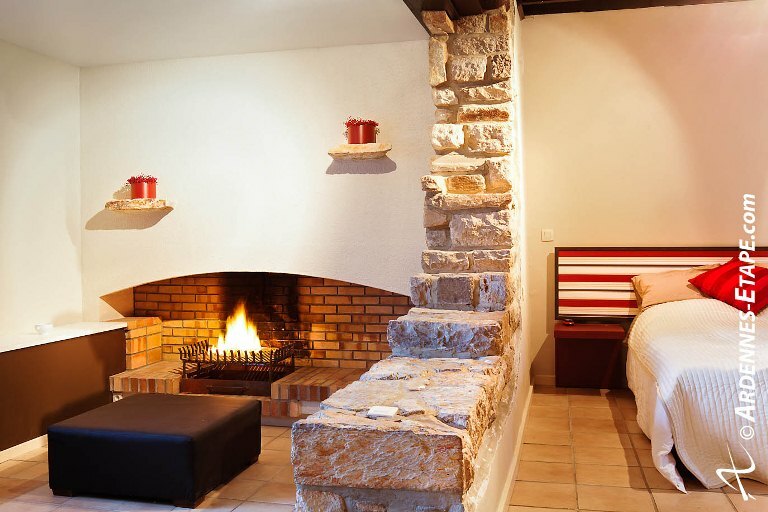 Over the past ten years, Ardennes-Etape, located in Stavelot in the province of Liège, has become market leader in holiday home rental in the Belgian Ardennes. With more than 500 houses, from lovely cottages to luxurious villas or even castles, the company is always looking for the best way to perfect the tourist’s experience in the region. This entry was posted in Press release, Recent articles and tagged Ardennes, Friends, Holiday homes, Luxury, Rental, Swimmingpool, Weekend by Ardennes-Etape. Bookmark the permalink.